Studied for many years by scholars with Christianising assumptions, Greek religion has often been said to be quite unlike Christianity: a matter of particular actions (orthopraxy), rather than particular beliefs (orthodoxies). 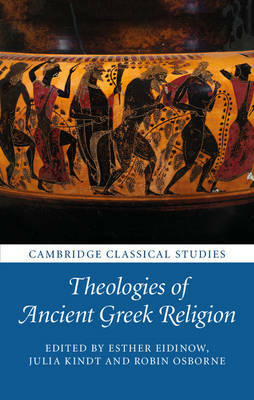 This volume dares to think that, both in and through religious practices and in and through religious thought and literature, the ancient Greeks engaged in a sustained conversation about the nature of the gods and how to represent and worship them. It excavates the attitudes towards the gods implicit in cult practice and analyses the beliefs about the gods embedded in such diverse texts and contexts as comedy, tragedy, rhetoric, philosophy, ancient Greek blood sacrifice, myth and other forms of storytelling. The result is a richer picture of the supernatural in ancient Greece, and a whole series of fresh questions about how views of and relations to the gods changed over time.